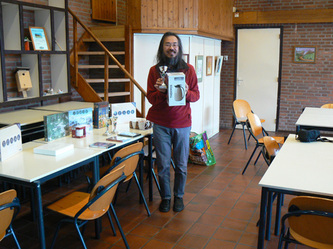 Takuji Kashiwabara won all his games on the first day. Second and third place for Patrick Aubroeck and Mark van Heere. Patrick lost his game in round 2 against Takuji. Mark lost 2 games, round 4 versus Takuji and round 6 versus Patrick. Nicky van den Biggelaar started the tourney with 3 losses against Jan de Graaf, Frédèric Auzende and Erwin van den Berg. 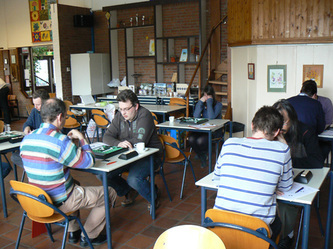 Not a good start for the World Othello Championship 20113rd place 3 finalist. play-off 3rd / 4th place between Nicky and Erwin. Nicky seems to be more interested to see what's going on in the final match. Takuji qualified for the final with an admirable 10/11. He lost only 1 game, against Nicky in round 8. Patrick won 2 out of 4 on the second day. One of those was a very close 33 - 31 against Belgian Tom Schotte. Mark van Heere only won 1 game and dropped out of the top 4. 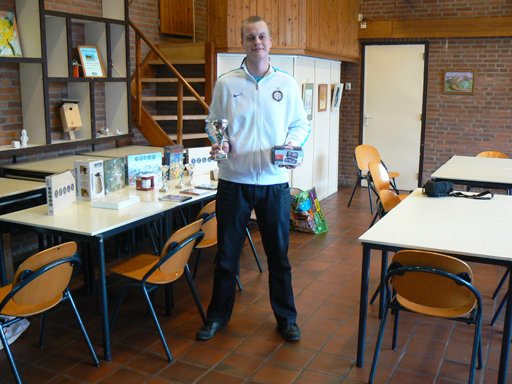 Nicky won all his games on the second day and made it to the 3/4 play-off, which he won against Erwin van den Berg. Benkt Steentoft played only part of the tourney. He had been in a lot of pain and had to have surgery at the end of sunday afternoon. That explains his performance at the tourney. Patrick beat Takuji in the final, 2-0. 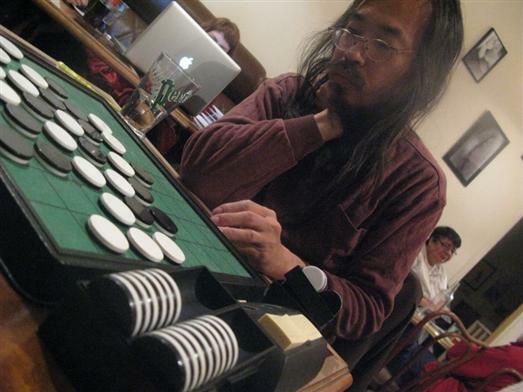 Takuji won the EGP 2011 and is in the lead now that the competition is halfway. 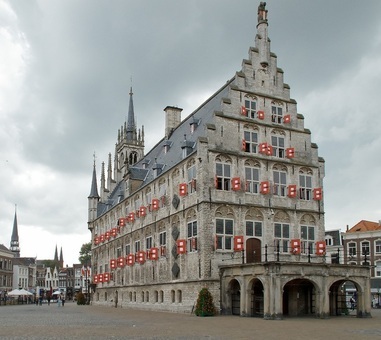 But Nicky is not far behind and Patrick beat Takuji in the final at Gouda by 2 - 0. It will be interesting to see what happens at the next EGP stage in Copenhagen, May 12 - 13.